When Colin Clark’s memoir about the six-month filming of “The Prince and the Showgirl” with Marilyn Monroe and Sir Lawrence Olivier was first published in 1995 as The Prince, the Showgirl, and Me – the details of one week were missing. 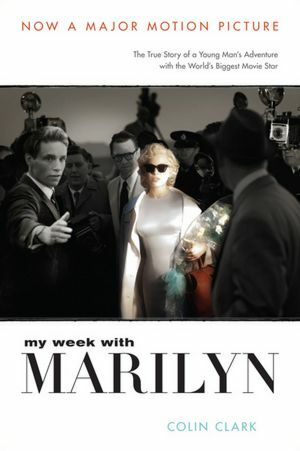 Seems that was the best week and the new edition published in 2000 as My Week with Marilyn includes Clark’s romantic rendezvous with the beleaguered film star. The movie uses the update to offer an entertaining backstage view of Marilyn’s insecurities and Clark’s star-struck first love. I saw “My Week with Marilyn” and was reminded of Monroe’s beauty, vulnerability, and ambition. Clark’s memoir may have exaggerated, but that makes for a good show. Now to watch that old classic “The Prince and the Showgirl” – with a new perspective.